This recipe is like the kind of spicy soups and sauces cooked in coconut milk from Zanzibar and the other cities on the coast of Kenya. They are Indian spices, but they’re cooked with an African flair, and the aroma will infuse your entire house. 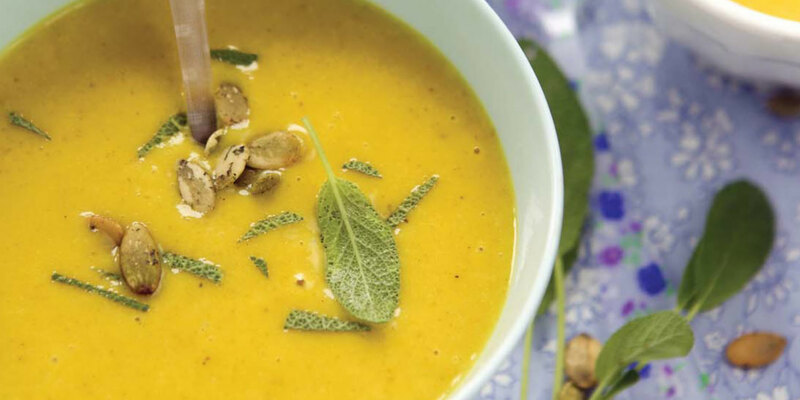 This soup is creamy, yet light, and sweet from the pumpkin and carrots. With the spices that give it depth, it will quickly become a classic in your family. Wash and peel the carrots, and then cut them into small chunks. Cut the onion into small slices. In a pan, heat the oil and add the onion and cook on medium heat until it becomes translucent, about 5 to 7 minutes. Add the spices and cook for 2 to 3 minutes. Add the pumpkin and carrots and sauté. For 5 minutes. Add the coconut milk, chicken stock, and the rest of the ingredients and bring to a boil. Simmer and cook for 60 to 90 minutes, until the pumpkin and carrots become soft. Remove from the heat, and, using a hand mixer, blend/puree the soup until it becomes smooth and frothy.